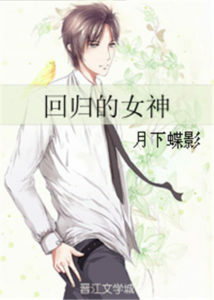 Return of the Goddess is a completed novel written by Yue Xia Die Ying (月下蝶影) and consists of 106 chapters total. This is a fluffy novel featuring a vengeful yet adorably naive female lead. When she left the capital city, she was fat, chubby and white in everybody’s eyes. When she returned to the capital city, she was perfect; a goddess in everybody’s eyes. A reporter once asked her: What do you think is most important for a woman? She simply smiled and answered: The most important thing is to be good to ourselves. When a person has a crush, other than the person himself, no one will know. This is a rather slow book, although it’s short. But it’s very meaningful in its pace and the storytelling. The story is about our MC who returns to her country to take revenge on the people who caused her distress years ago. She is oblivious about the ML who is head over heels in love with her. You get your share of fluffs in their romance, and the romance merges well with the main storyline. It’s a great story, so hope you enjoy it! why you drop this novel…i love it so much.??? ?